When it comes to buying digital scales for wrestling, the price matters but the quality and accuracy matter too. No one wants to spend a few hundred dollars on a certified scale just to have it break within a year or two. Our goal is to provide weighing products that provide accurate weights and last many years in the process. As you browse through our site remember that we offer products from the top suppliers in the weighing industry. We do sell the Befour wrestling scales and we also have Rice Lake scales which are some of the best in the industry. Finally, don't forget we are a scale company. We not only sell scales, but we repair them, calibrate them, and understand them. When it comes to purchasing scales for weighing wrestlers, we sell to a lot of high school athletic departments but we also sell to a large number of college programs as well. Our scales are built tough and many are lightweight and portable. It is our goal to provide you with the best value for the money. Please see our outstanding selection below. Wrestling Scales - Locker RoomSometimes you just need a heavy duty scale that you can set in the corner of the locker room. 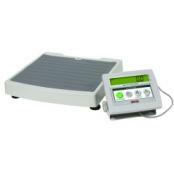 Many of these scales were designed to be the perfect choice to replace the old mechanical scale you've seen. Wrestling Scales - NTEP CertifiedNTEP Certified wrestling scales are required by certain conferences and organizations. These scales have certificate of conformance numbers (CoC#) and are very high quality and accurate digital scales which are perfect for weighing wrestlers. Wrestling Scales - PortableMost wrestling coaches or athletic directors look for a portable wrestling scale when they are looking to purchase a new scale. Portable scales are designed with lighter weight components which makes them ideal for taking from the gym to the tournament. Wrestling Scales - CertificationWe sell wrestling scales. Don't forget we are a scale company. We not only sell scales, but we repair them, calibrate them, and understand them. Over the years we have literally been told just about everything when it comes to wrestling scale requirements. We've had folks tell us the digital scale must be NTEP approved with a Certificate of Conformance (CoC#). We've had people tell us that it doesn't have to have a CoC#. We've had people tell us the scale has to be made by a certain manufacturer. So our suggestion to you is: first, contact your league or conference or whomever makes the rules that you need to follow. Find out what the rules are regarding your scale needs. Then contact us and we can let you know what we have that will meet that requirement. We offer scales that are perfect for both high school and college wrestlers. 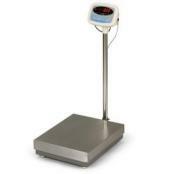 We offer both NTEP CoC# scales and items that are not approved. 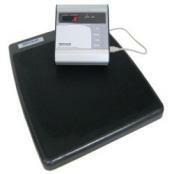 We offer portable scales with carry case or bag. Just let us know what you need and we can provide you with honest reviews and buying advice and price quotes in a timely manner. Then submit your quote to the athletic director or purchasing department. For an additional charge, we also can provide a certificate of calibration. It's usually a good idea to get your wrestling team scales certified annually. An experienced certified scale technician will check your scale for accuracy using our certified test weights.